There is also a $20 usd exit tax that you will need to pay. This is often already included in your airline ticket price so with all my entries and exits from the D.R. I’ve never had to pay this tax directly. The tourist card only pays for 30 days in the country, so if you are planning to stay longer than this you need to look into what the current requirements are. This is a little more difficult because they have recently changed the laws (again) and there is some confusion as to exactly what is required. It does come down to it, if you are planning to stay for an extended time you need to look into getting residency or an extended visa. As I mentioned above, when you get into the country, at the airport you will need to buy a tourist card. This means looking around for the desk (usually the one with a big line in front of it) and handing them $10 usd per card after which you will head into the customs line and hand the same card to the a person collecting them. The “faster” way is to purchase the tourist card online. You fill out an online form and pay with a credit card and you will be emailed a receipt. You then take the receipt and either stand in the same line as you would to buy the tourist card or another line (usually shorter because few people are buying them online right now) and trade your receipt for the tourist card. 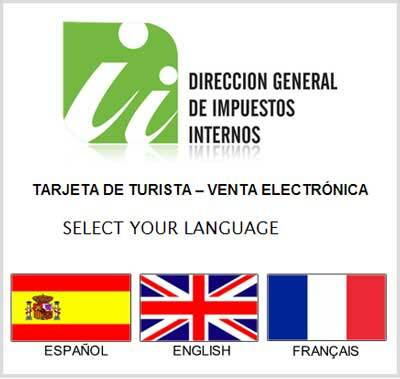 You can buy the tourist cards online at the official Dominican Republic site here. I suppose there is the advantage of not needing to wait while people fumble around for money (you usually need to have exact change and in U.S. Dollars) to buy the card, so it is a little faster. But that only is true if they have a second line set up for people that have already paid and few things are that easy in the Dominican Republic. If you have you residency papers completed and have you cedula you will not need to buy the Dominican Tourist Card on entry into the Dominican Republic. If you are in the process of getting your residency (which usually takes over a year), you may not need to buy the tourist card. To avoid needing to buy a tourist card you will need to have a copy of the paperwork that has your temporary cedula number on it. This number comes on the form that is sent to you by the immigration department after they have received all needed documents from you. Be prepared to explain to the person what the form is and why you now don’t need to pay for the temporary visa, in all likelihood they will not know and recognize the form.